Nick Brooks for Shaw Media. 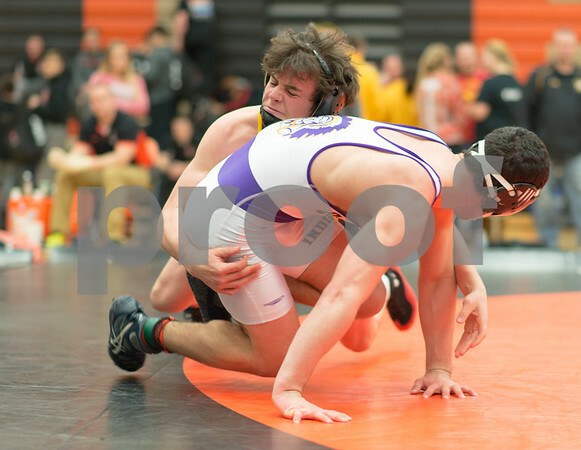 Jacobs wrestler Dean Lane forces Hononegah's Dominic Ballano out of bounds in the 160lb. weight class. Lane won the match at the 3A Regional held at DeKalb High School.